Without inside information, it is impossible to predict which companies could buy the social-networking service, when or if it will even happen at all. Amid the surprising news that Microsoft will acquire LinkedIn, attention has turned to Twitter (TWTR - Get Report) . The New York Times reported on speculation that acquisitions occurring in the social-media industry is a trend and that Twitter is likely the next target. But the article mentioned that some think that Twitter's business model is unsustainable in its competitive landscape, and unless it can attract its own suitor, the company is at risk of being overtaken by a larger rival. In other words, because being acquired is Twitter's only viable option for survival, a takeover is imminent. Furthermore, because of LinkedIn's recent buyout, many experts are advising that investors buy Twitter. There are several fundamental flaws with this logic. First, companies looking for acquisition targets are primarily motivated to boost their own business potential by bringing in their pre-established resources. They are not keen on rescuing businesses that are in trouble, so saying that Twitter needs to be acquired therefore it will be acquired soon is illogical. Second, if a company is performing so poorly that its only way to survive is to be acquired, then there is something inherently wrong with that company itself. 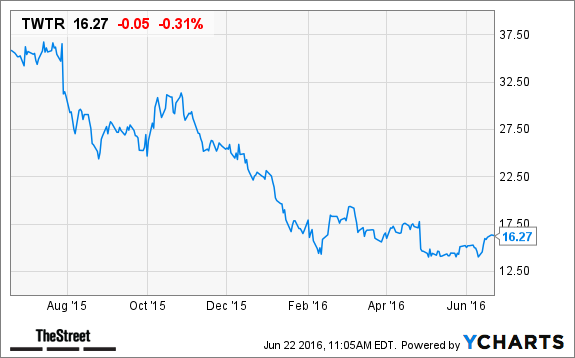 However, many investors are still buying Twitter's stock on this basis. Their primary strategy is to wait until the acquisition and sell once the stock pops like LinkedIn's did. But there is something wrong with this strategy. For instance, let's say that this strategy was applied to LinkedIn, and an investor got lucky enough to have the company get acquired by Microsoft. The investment will only have paid off if this stock was bought either in January 2016 or before 2013. Why? Because Microsoft agreed to purchase LinkedIn at a premium of $196 a share. 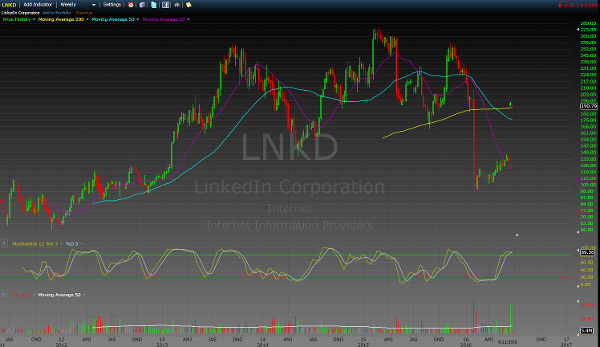 This means that LinkedIn's stock price shot up to $196, but it also means that its stock will remain locked to that price, destroying all future trading opportunities for LinkedIn. The only way for such mergers and acquisitions traders to have made a profit in the wake of this buyout is if they had purchased LinkedIn and held onto it for less than $196 a share. Looking at its historical stock chart shows that for 2013 to 2016, the price ranged between $200 and $275. This means that if the majority of LinkedIn investors held unto their positions until the announced buyout, they would have seen a loss in their trade. On a daily chart, there is the potential for a short-term trading opportunity, or a swing trade, based on technicals, not rumors. Twitter is building a base at $14, so the downside risk at the current price would be $2, as a break below the $14 level would be bearish. Buying a break of the descending trend line, with a final profit target in the $21 area, would be an area of resistance. Without inside information, it is impossible to predict which company would buy Twitter, when it would be bought or even if it would be acquired at all. 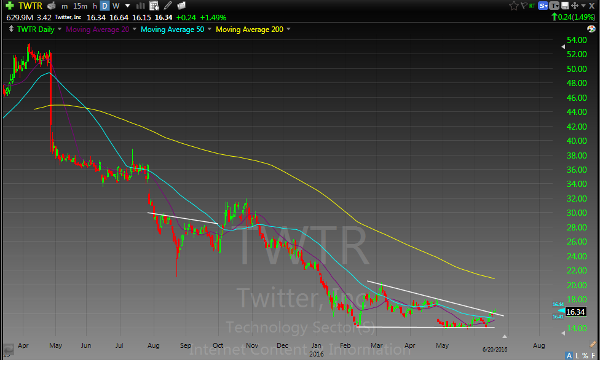 The truth is in the price action, and Twitter is in a long-term downtrend. Yes, Twitter recently said that it has invested $70 million in Soundcloud, but an investment isn't the same as M&A activity. Furthermore, there is no guarantee that this investment will even yield a profit. Using these arguments as a basis for purchasing Twitter isn't a sound investment strategy. By waiting around for an acquisition, investors will just be locked into a stock that has a higher probability of continuing downwards rather than shooting up. They will also lose out on more attractive opportunities with a valid risk-to-reward profit potential. The long-term trend dictates that it is more likely for a profit to be made on the downside, but investors who are unsure might want to just avoid buying Twitter altogether.